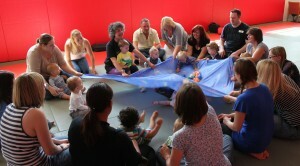 Early Years Music Groups (eymg) are fun and stimulating music sessions for babies and toddlers to enjoy with their parents or carers at the Pearson Centre in Beeston, Nottingham. Using an interactive and responsive approach – along with themes, routines and naturally incorporated Makaton signing, eymg offers you and your child an engaging musical experience to share together. 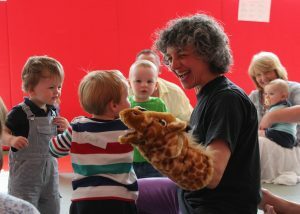 Wendy, their creator and facilitator, is an Early Years practitioner with over 20 years’ experience of running music groups for under 3s in the East Midlands. She is a trained speech and language therapist and musician.